← B.sweets Chocolate Returns to Raleigh! This weeks picture was taken on Person Street in Downtown Raleigh earlier this week. 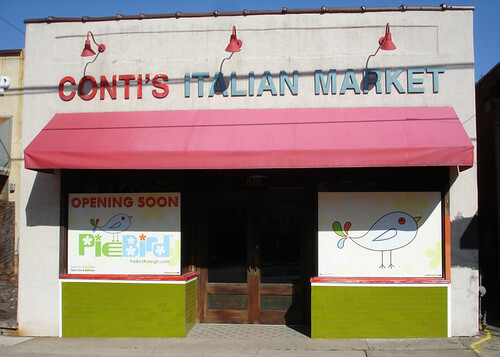 It looks like a new pie shop called PieBird will fill the location previously home to Conti’s Italian Market. No word yet on exactly when they plan to open, but I look forward to stopping in when they do and getting a pie on the way home from work! I hope to get some more pics when they open to share in a future blog post!